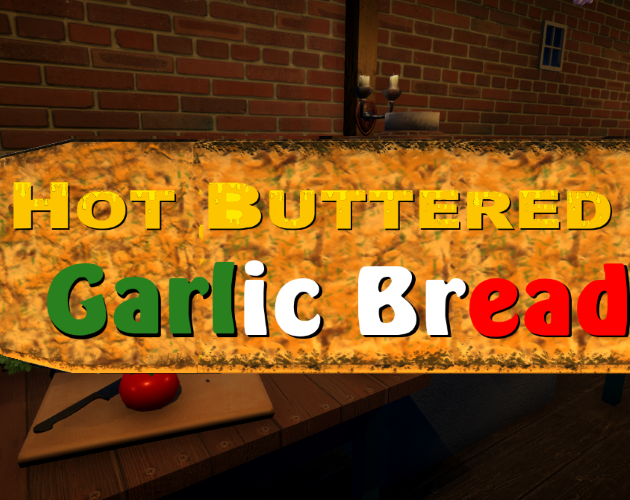 Hot Buttered Garlic Bread is a procedurally-generated platformer that requires you, a head of garlic riding on a pat of butter, to butter as much bread as you can with your delicious garlic-buttery goodness. Collect butter to maintain your supply, get cheese and parsley powerups for more points, and watch out for things that look like you shouldn't touch them! This is a very early release of the game that I made for fun because reddit and its garlic bread community inspired me to do something with a garlic bread video game. There are bugs. There's lots of things that can be improved. They will be fixed and improved upon. But for now, the game is playable and fun.